NEW GAME: VISITOR IN BLACKWOOD GROVE! 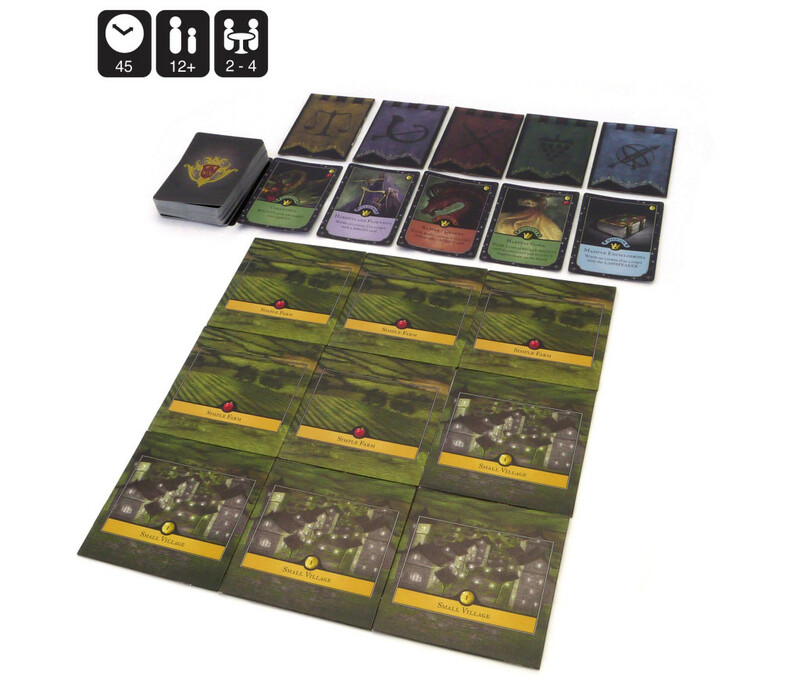 In MONARCH® you play as an heir to the throne. Your mother, the Queen, has lived out her years and will soon pass on the crown. The time has come for you and your siblings to demonstrate your intelligence, compassion, bravery, and strength as leaders. Out perform your siblings to demonstrate your ingenuity and strength. Choose strategies that will bring prosperity to the land and glory to your court. Defend the realm from threats and famine. Only the player with the most majestic court will be named heir. During the game each sibling aims to collect cards to add to her court of wise advisors, exotic beasts, and symbolic garments. Court cards provide crowns. The player whose court cards provide the most crowns at the end of the game will be selected to rule, so they must cleverly collect cards that work well together and avoid those that conflict with one another. There are many paths to choose from, but only one will become the next MONARCH. Who will reign?